Question: There are thousands of students worldwide that read The Zohar with us during the morning lesson. This is a very powerful and high quality force. Why don’t we feel the results of our studies? Why doesn’t the correction come now? Why do we have to wait for the Arava congress? Answer: We don’t have to wait for the congress! The correction can come right now. It really can! Everything depends on our efforts, not on the time or place. However, since we exist in the spiritual framework that’s called this world, we can be impressed, not by changes in desires and intentions, but by external actions. After all, what are our bodies, hands, legs, and all the matter we see around us? They are our desires. Only these are desires on an inanimate level so we can work with them even without intentions. We set them up and receive impressions for them. However, these are desires! And we use them because we exist in them. When we advance to a higher degree, it will no longer matter whether we’re at a congress in the Arava or in the middle of a noisy market place. Question: You gave an example that in an integral society while I pour a cup of tea for myself, I first have to make sure that everyone else has tea. How should I understand this? Answer: I gave the example that half of the world is dying from hunger, while the other half is throwing away two-thirds of what they are consuming. So why should we live in such a world? Isn’t this where the terror comes from, all other problems and wars, the senseless waste of energy, pollution of nature? Question: But now, if I want to drink a glass of water, how should I act correctly, according to your example? Answer: Let’s study how to be concerned with each other within our group. Afterward, we will move from the group to the nations, and will begin to build relationship systems between them, which will allow us to progress toward a more balanced life. Obviously, if you are pouring a glass of water for yourself, then you will ask those around you if they want a drink. You will not go passing out water on the street. The water will get there due to the fact that we will build special systems for this. But I want them to be there! After some small changes occur within me, some understanding attained through the course, and after practical studies, I agree that the society must become more balanced and reach a more or less similar standard of life. As a first stage, let’s arrange for everyone to have a necessary set of things: X, Y, Z. We will set an objective so that in five years we provide everyone with a roof over their heads, a full provision of clothes, food, and everything that is necessary for the home. We provide all of this on the basis of surplus, because if you make the calculation it will turn out that we have 90% above what we need. If I love you, then you can come and take half of the clothes in my wardrobe. Believe me, I won’t be sorry. Or, I could take 10% less salary for the sake of someone else and I also would not feel sorry. Such systems need to be built on government and world scales, but not by force, not under compulsion, but by preliminary education. The Bolsheviks once tried to impose this by force, and everybody knows what came of that. That is why first people need to be educated in order to gain their support for what we are doing. Each time we have to demonstrate the positive results we are reaching: where the rich who are sacrificing for others are, where the poor who are receiving are, how balanced everything is, and how happy everyone is. Thanks to mutual care, we will be able to get rid of the surpluses nobody needs. We will stop producing thousands of needless medicines, which are now being produced by someone for the sake of their own profit, and are poisoning humanity. Why should we throw away such huge sums on arms, the military, and much more? There are numerous things that we will have to correct now that we have reached this new era. We will not be able to continue this way. The crisis will lead us to such a state that we will have to tighten our belts. We will not have the means to support the excess, egoistic systems we have built. That is why they are being hit by the crisis and are beginning to break down. We have to show this together: what harm is done to us as a result of the lack of care for each other and what treasure is revealed before us thanks to our good relationships, a goldmine of good relationships. However, first of all, integral education is necessary. The whole point is not to redistribute the surplus and offset the shortages. The point is that there is an internal tendency, which exists and has brought us to the necessity of uniting. The network, which connects us all, is being revealed; it obliges us to be in kind relationships. For this reason, the common global crisis is occurring on all levels of our activities in everything that connects us with each other. The crisis is the lack of correct connections between people. This is the explanation for all of the separate crises: in the family, education, culture, in everything, and now the economy. Because of the wrong connections between us, we are all suffering. These crises, that is, the external connections between us, will not improve until we sincerely invest in them and build trust in each other. Only then will we be able to develop the systems which will lead us to balance. We see that there is a global, integral form being revealed in our external world as well as in our internal states. Meaning, we have nowhere to run. It is not in vain that we have entered into this crisis; we no longer are to develop simply under the pressure of nature. Now we have entered such a situation that as long as man does not think about and discover his evil, decide that he must change, and see it as a choice between life and death, until that happens, he will not agree to a new education. He has to see that there is no way out and that he needs to educate himself in a new way and to build new systems. Then he begins to search, what can help him with this? At this point, everyone must have their say: the psychologists who will advise working through a group, sociologists, political scientists, pedagogues, educators, and sports trainers. We need to build such systems so that a person begins to understand the need for change based on knowledge gained and he or she knows how to realize the changes practically. For this purpose it is necessary to provide a place for education. In order to understand and settle in the quickly changing modern world, we need to know the following: What are the changes we need to undergo and why do we need to make these changes? What is the reason for our current lack of success in everything we do? What is the means that will help us transition to the new state? Can we regard our current state as prenatal, where the mother giving birth to us is nature, both our internal and external nature that is pressuring and forcing us to attain a new state? Is this process natural for the development of humanity? After all, if we knew about it in advance, we would anticipate this process. People, living in the times of slavery, did not know what would come from a new society that would give them some freedom. They thought that slavery was the most convenient state, since they didn’t need to worry about themselves. I am prepared to work when I know that someone will take care of my food and shelter. And there is nothing else that I need. This is what a person thought when he became a slave. He expected the owner to take care of him and was ready to work for him. The owner was interested in providing the slave with food, shelter, normal living conditions, and good health since he gained more than he invested into the slave. So they coexisted on these mutually beneficial terms. But suddenly it became clear that it was no longer beneficial for the owner to keep a slave who required an investment greater than the profit he brought in. But what if I were to give him freedom where we agree that he will remain close to me and continue to work, and from his work, I will receive a percentage: This is better than thinking about providing for him. In this way society evolved to a new degree. Even today, we are on some stage of rational development towards a new state. Then why aren’t we able to see and plan for this new state? We have enough great minds and vast experience from the entire history of mankind; we have science, scientists, and a highly developed world. Why do we suddenly become small, pathetic, blind, incapable of anything, in spite of our international committees and agencies, research institutes and universities, armies of psychologists, sociologists, economists, and financial experts? With all this, there is nothing we can do. So what do our scientists lack to find the solution? It is so hopeless that you and I are now taking a class to find the solution. We can no longer rely on experience, now we have to artificially study this new life we are approaching. Question: In the method of integral upbringing, special attention is paid to the correlation between the mind and feelings. In the corporeal world of egoism and alienation, desires and thoughts are hidden deep inside a person and are often inaccessible by his consciousness. Usually, as a rule this generates negative feelings: anger, irritation, and hurt. What is the right way to connect feelings so they would not hinder communication between people? Answer: The method of integral education, first and foremost, takes into account the fact that feelings and desires are primary. We do not know where they come from and how they appear in us. All the qualities of our mind and thoughts are intended for realizing these feelings and fulfilling ourselves. Our basic desire is the desire to enjoy. Who, what and how are the consequences. Enjoy! And this is why our entire mind only develops to the extent of our desires and only to serve them. Big desires develop a big mind in a person. Egoism, which grows from generation to generation and over the course of a person’s life, develops his mind. If we take an animal, its development practically ends a couple of weeks after its birth. It already has all its given instincts, and it adapts to the environment. This is why animals never make mistakes. They know how to behave, how to save themselves, and how to interact with the environment. Their mind and feelings are instinctively in balance. In this case too, desire is primary and the mind secondary. An animal understands what it is able to realize in its desires and what it is not, and this correspondingly limits its mind. But a person has a big problem here. The thing is that when his egoism develops, it gives him desires he is not able to realize. This is why he shuts away, isolates himself, becomes more brutal, competitive, etc. If his desires were to be correlated with all the other desires (his and the environment) so that they would harmoniously complement each other, there would be no conflicts, and his mind would expand infinitely. Since integral society is a society of absolute inclusion of everyone in everyone, this means that a person acquires the desires of the entire community. He understands what matters to the society, and accordingly, his mind stops being personal and becomes integral, and he reasons with it. It is like putting on glasses of integral vision of the world, and he understands that he and the world are one whole; what is good for me and what is good for the world are the same thing. There is naturally no contradiction in this harmonious correlation between him and the world. He can simply open up without any fear; he understands, sees, and feels everything in accordance with this, and actively participates in every action, in everything. Absolutely all his reasons to be unhappy or compete with others disappear. So we need to bring a person to this state without limiting his desires, thoughts, and mind, and we need to act in a completely different way from the beginning to give him the explanation that he is included in everyone else and that a certain common desire is being created. This collectivity of all the desires is that new thing that we are creating. We are creating the system of “Adam” our common desire and our common mind in accordance with it. Something integral appears above us, and we exist in it. This way we do not pay any attention to the person at all, but only at his aim, his inclusion in this collectivity, the next degree of our development. We do not limit him; he does not feel that he is under certain pressure. He does not have anything to hide. He practically remains as is, but his entire development is directed towards integration. The harmony between feelings and the mind develops as he begins to feel greater and greater interconnection between himself and the others, with what the current world dictates to us but we are not yet ready for. Integral education intends to direct man towards beginning to feel “we,” the collective humanity, and act based on it. Only then he will feel like his state is free. This is exactly where his freedom of will and freedom of behavior will manifest, but only once he includes himself in it. But if he comes out of this state again, he once again falls into his small egoism, and the same problems start all over. In this way nature helps us by showing us that rest can only be found in integration, and in isolation a private prison and absence of freedom. This is a very important condition and I would say a very scary one. There is a very serious warning in it that it is forbidden to use the Torah, meaning the method of Kabbalah, in the wrong way. After all, there is Light in all the Kabbalah books, and if a person uses them the wrong way, instead of the potion of life he receives the potion of death. It is a very strong weapon that is like radiation which can be used beneficially in different techniques and in medicine, but which can also kill. Fire too can be destructive on the one hand while on the other it can help us and warm us. The power of the Light is the greatest power in nature. We have to know how to use it. Therefore the sages first forbade the teaching of the wisdom of Kabbalah to everyone, except for those who had the altruistic intention of Lishma (bestowal). But how can one switch to this intention? There are several preliminary conditions here. On the general human level, people have no need to study the method of Kabbalah. But sometimes the question comes up: “What is the meaning of life?” and then I turn to Kabbalah. Then another question comes up: “What am I studying for; is it in order for me to feel good or so that I can come to Lishma? At first a person wants to know what the meaning of life is. He doesn’t know much about intentions yet. 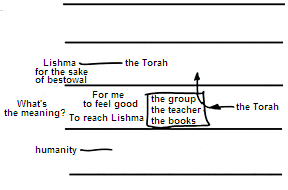 Baal HaSulam says that only the intention of Lishma, which is in order to bestow, is the condition that enables one to teach a person the method of Kabbalah. In such a case, there’s no doubt that he will study correctly. Although no one starts from this level, he should reach it! Therefore a person should join a group where he finds a teacher and books. If all these factors come together correctly, then although a person isn’t worthy yet, he may be allowed to connect with the method of Kabbalah, which then can bring him to the intention of Lishma. So there must be a very clear framework: friends, a teacher, and the study. Then a person won’t be confused and won’t get off track. Otherwise, the “elixir of life” will become the “potion of death” for him. From here we should understand how things developed. As a result of the shattering, the Torah was disseminated among all the peoples and remained with the people of Israel. But what kind of Torah is it? 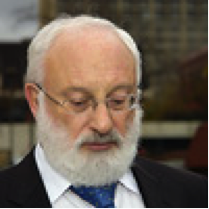 How can the method of Kabbalah be studied during the exile, in the egoistic intention? Finally, since we went into exile, we haven’t had the true Torah, but its “mock-up.” We continue to call Kabbalistic books “holy books,” but there is no Light in this Torah. Rabbi Chaim Vital wrote about this and so did Baal HaSulam. But if a person needs the Torah in order to switch to the intention of Lishma, he is drawn to the wisdom of Kabbalah in which there really is the Reforming Light. It was forbidden to use this wisdom during the time of exile so as not to bring the Light to a person with the possibility of it becoming the potion of death for him. It is only now when we’ve reached the general shattering and the last layer of the egoistic desire that we can discover the wisdom of Kabbalah and study it. Baal HaSulam writes about it in the articles “Time to Act,” “Messiah’s Shofar,” and others. It is about that part of the Torah that transmits the Reforming Light. Our generation is already in the “days of the Messiah” when we have to use this method. In the News (from The Independent): “A quarter of young children around the world are not getting enough nutrients to grow properly, and 300 die of malnutrition every hour, according to a new report that lays bare the effects of the global food crisis. “There are 170 million children aged under five whose development has been stunted by malnutrition because of lack of food for them and their breastfeeding mothers, and the situation is getting significantly worse, according to research by the charity Save the Children. “In Pakistan, Bangladesh, India, Peru and Nigeria – countries which are the home of half of the world’s stunted children – recent rises in global food prices are forcing the parents of malnourished children to cut back on food and pull children out of school to work. My Comment: If the developed countries did not lead Africa to famine, and if we just stopped throwing away extra food, we could feed the world. So, the problem is not a food crisis, but a human crisis! Question: How can I know that the desire that’s awakened in me will be credited to me? After all, all my desires come to me from the outside, and the reason I think this way or that is because someone else is forcing me to? Answer: If you come to the group against your desire and receive an awakening from others, this will be credited to you. It would mean you’ve drawn this awakening yourself, earned it with your own efforts. You extract it from your environment by force, and then it’s considered yours, your spiritual vessel. After all, it was you who exerted the efforts to unite with the friends. The unification is felt within your desire, in the aspiration you’ve received. This aspiration will be the addition to your desire.